Astana found themselves at the centre of controversy with a number of doping scandals in 2014, including the Iglinskiy brothers Maxim and Valentin both testing positive for EPO within a two-week period, while two of the continental squad riders have also failed tests. The squad suspended themselves from racing for an eight-day stretch after the Iglinskiys scandals, in accordance with Movement for Credible Cycling (MPCC) rules, missing out the final WorldTour race of the year, the Tour of Beijing. Last year’s positives are not isolated controversies, however. The team began on an unstable foundation that continues to shift and creak, going from one scandal to another throughout their brief history. Here we take a look back at some of the Kazakh team’s eyebrow-raising moments over the past few years. 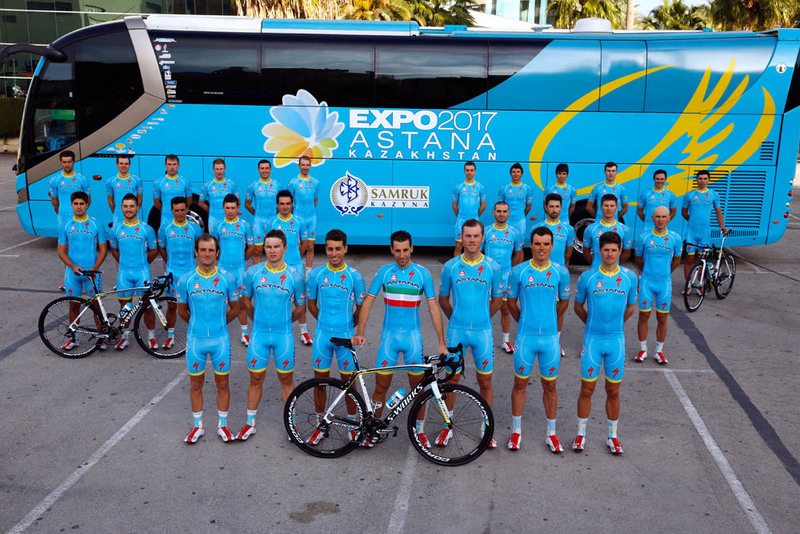 The team’s sponsor, a group of Kazakhstan businesses that took the name Astana after their nation’s capital, joined in at the behest of home cyclist Alexandre Vinokourov and Dr Daniel Akmetov the former president of the Kazakh Cycling Federation. Vinokourov convinced Astana to take over sponsorship of his Spanish Liberty Seguros team after they were implicated in Operación Puerto doping investigation mid-way through 2006. ‘Vino’ won the 2006 Vuelta a España and went on to lead the team in the 2007 Tour de France. He crashed and fell out of overall contention, but still won two stages. An anti-doping test, however, showed he doped by transfusing someone else’s blood. Organiser ASO kicked him out and asked Astana to leave as well as the race neared it’s climax in the Pyrenees. After the Tour, the anti-doping testers then tracked down Vinokourov’s team mate Andrey Kashechkin to a holiday villa in Turkey, where the sample taken tested positive for an homologous blood transfusion. Reports at the time suggested it was riders within the peloton that were so agrieved by Kashechkin’s obvious doping that they themselves reported him to the UCI. Belgian Johan Bruyneel took over as manager of Astana for 2008 after the scandals, and brought in several Discovery Channel riders, including Alberto Contador. With further details of the Operación Puerto in hand and Vinokourov’s blood doping case still lingering, the Tour de France organiser ASO barred Astana from its 2008 race. Bruyneel received a last-minute invite from the Giro d’Italia and won the race with Contador. When Lance Armstrong returned from retirement for the 2009 season Bruyneel welcomed back the cyclist he directed to seven Tour de France titles. Armstrong publically stated that he would take no wage from Astana and only wore their kit during races. At all other times he wore Livestrong kit. When Astana did return to the Tour in 2009, it did so with both Armstrong and Contador as leaders, but a simmering rivalry between the two bubbled below the surface. Contador was the Grand Tour rider du jour, but Armstrong and Bruyneel had other ideas. He and Bruyneel reportedly tried to sabotage Contador’s time trial and left him at the hotel ahead of the Annecy stage, which Contador won anyway. 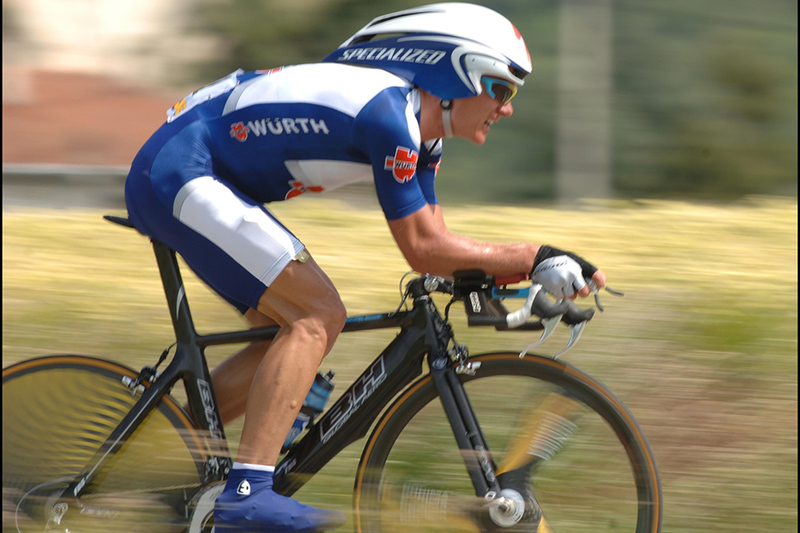 Contador won the race and Armstrong finished third, only to be later stripped of that third place – along with his previous seven Tour de France wins – after he admitted doping throughout his career. Before this, he and Bruyneel left Astana when they annoucned a sponsorship deal from RadioShack. Contador stayed with Astana for 2010 as Alexandre Vinokourov made a comeback. Contador won the Tour de France but was later stripped of the title when he tested positive for Clenbuterol from an anti-doping test on the race’s second rest day. He claimed he ingested the drug after eating contaminated beef brought across the border from Spain by a friend of his on a rest day. His defence was dissmissed by the UCI and the Court of Arbitration for Sport, while Spanish meat producers were up in arms. Upon his return from his doping ban, Vinokourov won Liège-Bastogne-Liège and the 2012 Olympic road race, in both cases he was alleged to have paid off his rival for the win. The Liège-Bastogne-Liège win was more serious, causing cycling’s governing body and Liège public prosecutors to investigate the claims that ‘Vino’ paid Alexandr Kolobnev €150,000 for the win. The two are due to face trial later this year. Vinokourov has never admitted any wrong-doing either during his career or in his role as general manager of the Astana team. 2014’s scandals saw the team referred to the UCI’s independent Licence Commission, who were to assess the their management and anti-doping policies, with a chance of revoking Astana’s WorldTour racing licence if they didn’t like what they found. The results of the Commission were released in early December 2014, with the UCI granting a provisional licence on the basis that the team’s anti-doping policies and structures would be audited by the Institute of Sports Sciences at the University of Lausanne (ISSUL). The results of the audit were due to be released in February 2015, and could still alter the course of Astana’s fate. Moreover, findings in the Padova report, some of which was handed over to the UCI by Italian police, contained evidence that concerned members of Astana. The governing body said that it would submit the report as part of the evidence against the team when the Licence Commission once more assessed the situation.